When you're a serious crafter with a whole range of products, you need a serious bundle to get all your 1 oz bottles organized! That's why you need the perfect pair of clear, stackable 1 oz bottle ColorCases for your Nuvo Drops, acrylic paints, Distress Paints and more! 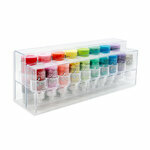 Put an end to hunting through various bins and drawers for the absolutely perfect shade of Nuvo for your project. 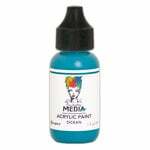 Get all your acrylic paints lined up and at the ready when mixed media genius strikes. With these two clear storage solutions for all your 1 oz bottles, you will always know what inventory you have and exactly where it is! When stacked together, height is 8.125"
When stacked with one additional 1 oz bottle ColorCase (sold separately), height is 12.25"
Capacity: Each ColorCase holds 8 individual 1 oz bottles (bottles not included), for a total of 16 bottles that can be stored with this 2-pack. 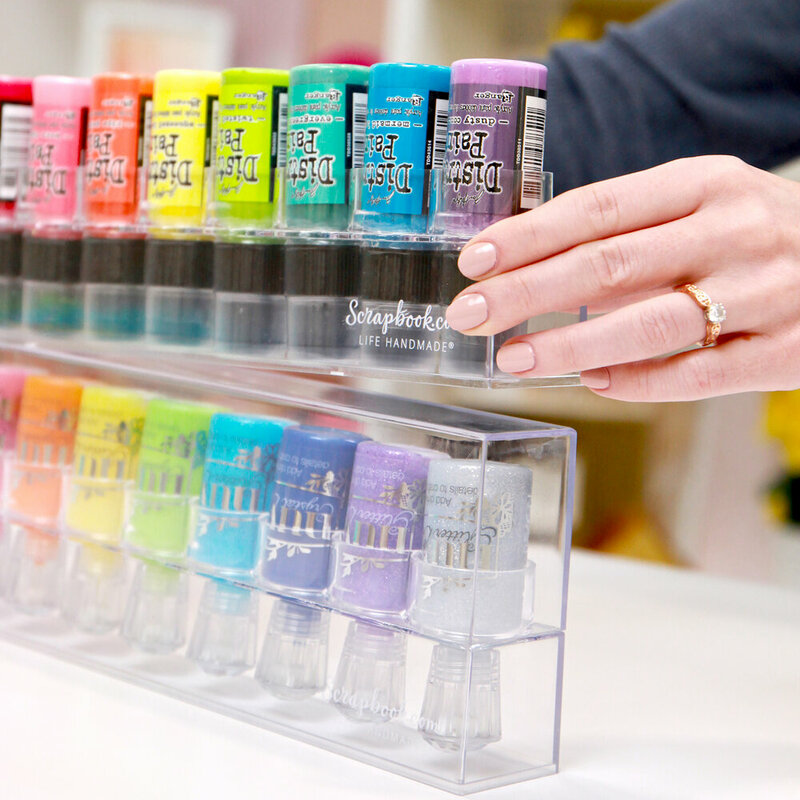 With so many different products and two empty ColorCases to fill, how will you organize them? By color? By type? By brand? The choice is yours! 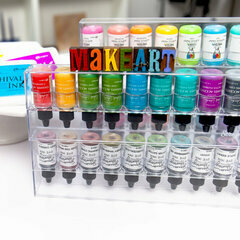 We are loving the rainbow system ourselves with Nuvo Drops in one container and acrylic paints in another! Every time you're ready to start a new crafting adventure, your ColorCase is ready to go! Slide it out of the drawer, off the shelf, or just pull it closer on your desk to get the fun started. 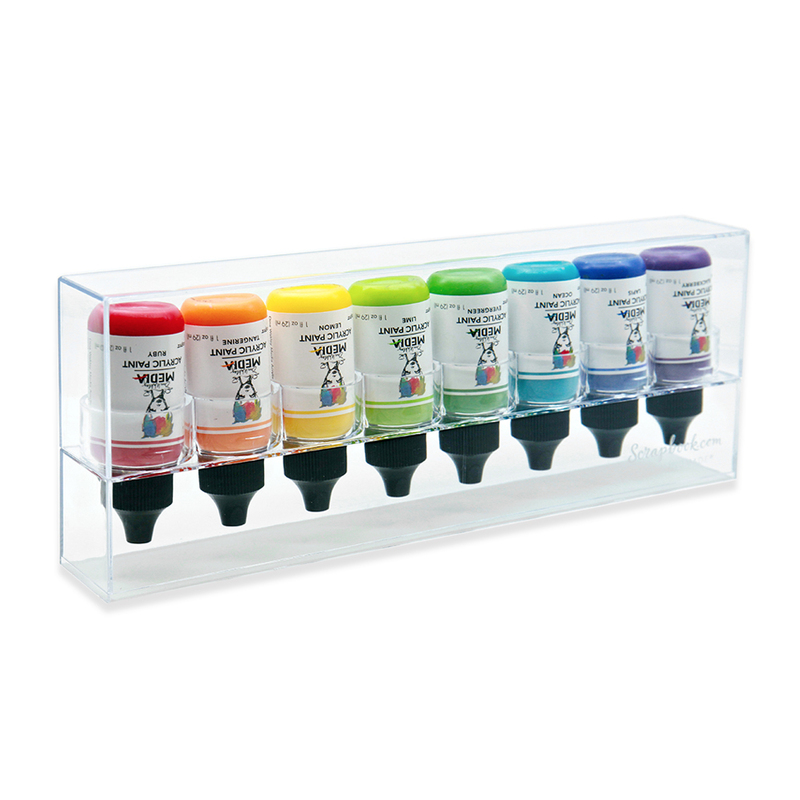 Your Nuvo drops, acrylic paints, and more will be waiting in the ideal upside-down position for optimal use. Just remove the clear plastic lid and get your crafting plan of attack ready. The ColorCase is not only perfect for storing your bottles, but it's a great sidekick for securely holding them right-side-up while you're using them. 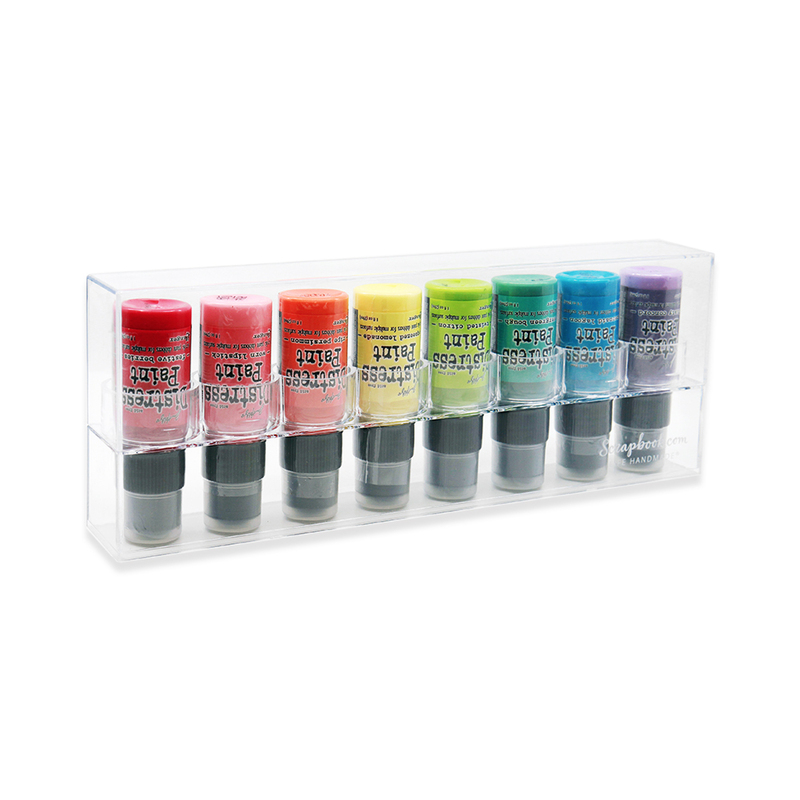 Whether you're strategically dotting some sparkle or some opalescent drops, or you're getting down to business in painting a mixed media project or background, the ColorCase will securely hold your bottle while you work - even if the cap is off! Never worry about ruining your project when the ColorCase has your back! The ColorCases come empty, waiting to be filled with your favorite 1 oz bottles. 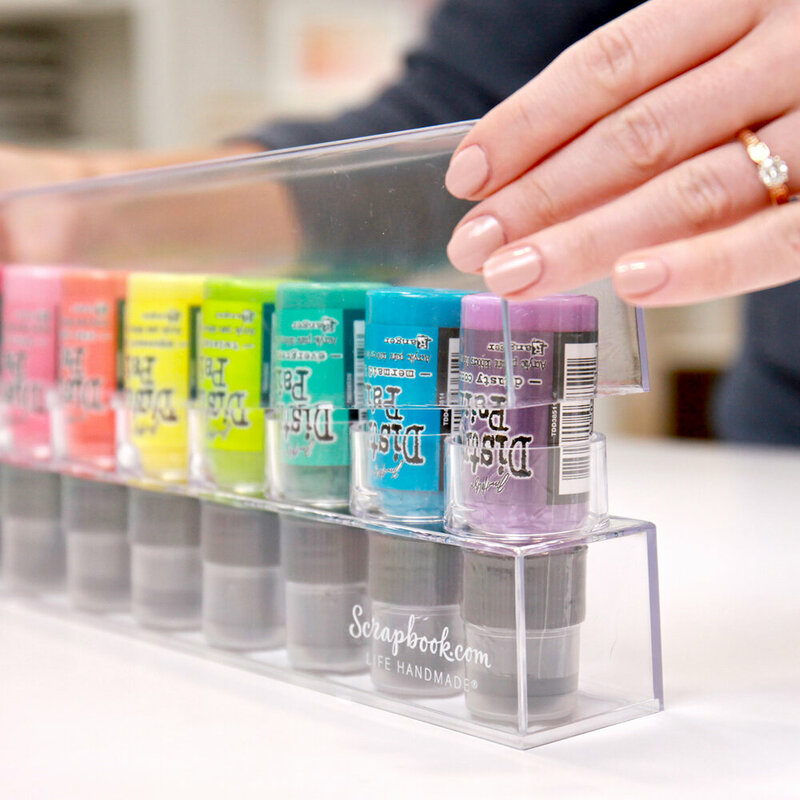 The lid of your ColorCase will not fit on the base if your 1 oz bottles are right-side-up. Turn them over before securing the lid. 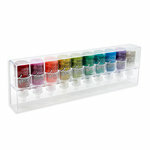 The 1 oz ColorCase is stackable with other 1 oz ColorCases. Our .5 oz ColorCase is stackable with other .5 oz ColorCases (sold separately); While the .5 oz and 1 oz ColorCases don't stack together, they look beautiful next to each other! 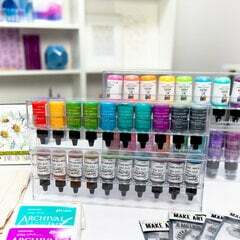 Want to create swatches for your Nuvo drops, acrylic paints, and more? Since your bottles are stored upside down, round circle/dot labels in 3/4" size are the perfect way to do it! 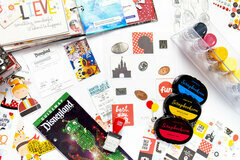 Create your swatch while the label is still on the sheet by applying some of the paint, glitter, or color. 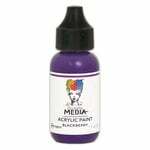 Allow it to fully dry, then simply peel your swatch sticker off the sheet and stick it firmly on the bottom of your 1 oz bottle. 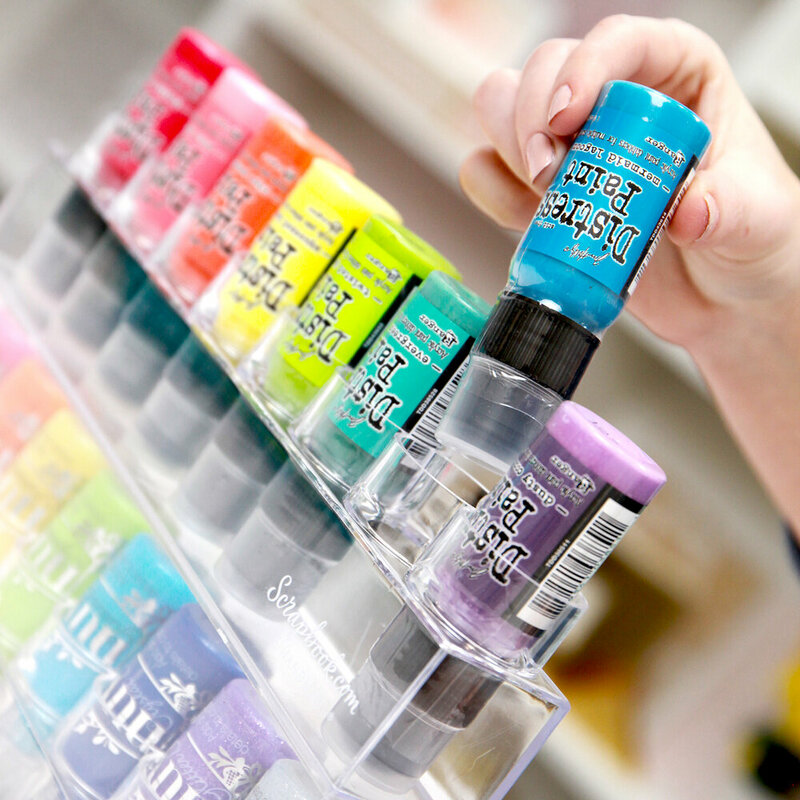 And just like that, you have true color swatches on the bottom of your bottles facing out in your ColorCase! Do labels make you warm and fuzzy? The ColorCase has perfect little spots along each bottle slot for a handy, helpful label so you can always get your 1 oz bottles in order. It's also a great way to know when one of your beloved colors goes missing and needs to be returned home to its rightful slot! 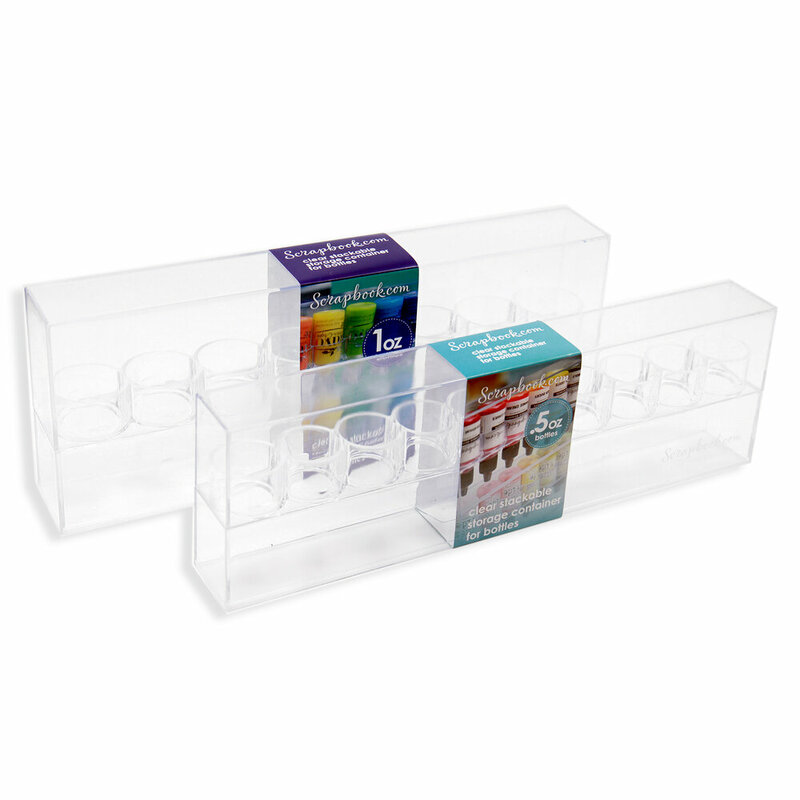 We know you're absolutely going to love the way the ColorCases get all your 1 oz bottles organized and stored all in one place. 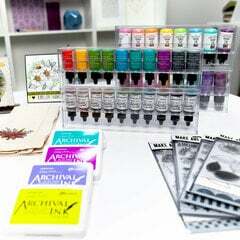 It will put an end to searching through bins, drawers, bags and everywhere else every time you want to use a specific Nuvo, acrylic paint, Distress Paint, or other fun product! 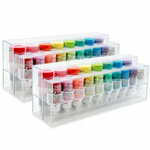 NOTE: The 1 oz bottle ColorCase is not compatible with Dream Drops by Nuvo due to the square shape of the bottles. Great storage for my Nuvo’s. Can take one set along on a Crop, just take it off the top. Great value too! Do You have to unstack them to get something out of the bottom container? Or do they open from the front? By: KatrinaLee (01-Mar-19) Helpful Question? Yes | No Thank you! Report Inappropriate This question has been reported. Thank you! Hello! (: Yes, you will need to unstack the cases in order to reach the case on the bottom. There is no front opening. I hope this helps! (: By: rsbc (01-Mar-19) Helpful Answer? Yes | No Thank you! Report Inappropriate This Answer has been reported. Thank you! What is the height from bottom of container to top of bottle without the lid? Say if I put a Nuvo bottle in it? Also, Nuvo is 1.5 oz, but description says holds 1oz. Picture shows Nuvo. So it will hold 1.5oz? By: Furgie (27-Feb-19) Helpful Question? Yes | No Thank you! Report Inappropriate This question has been reported. Thank you! When you put your Nuvo Glitter Drops, Nuvo Glow Drops, Nuvo Jewel Drops, or Nuvo Crystal Drops in the 1 oz ColorCase, the height from the bottom of the case to the top of the bottle (without the lid) is 3.75". These Nuvo products are in round 1 oz bottles, which is the size that this ColorCase was designed to fit. Hope this helps! By: Jenn-in-the-Box (27-Feb-19) Helpful Answer? Yes | No Thank you! Report Inappropriate This Answer has been reported. Thank you! will perfect pearls bottles fit in these>? By: gailhunt (17-Feb-19) Helpful Question? Yes | No Thank you! Report Inappropriate This question has been reported. Thank you! Ranger Pearls fit perfectly well in the smaller .5 Oz containers. By: bearskull (13-Mar-19) Helpful Answer? Yes | No Thank you! Report Inappropriate This Answer has been reported. Thank you! Unfortunately, no - Perfect Pearls are too large to fit in the 1oz ColorCase. By: Jenn-in-the-Box (26-Feb-19) Helpful Answer? Yes | No Thank you! Report Inappropriate This Answer has been reported. Thank you!